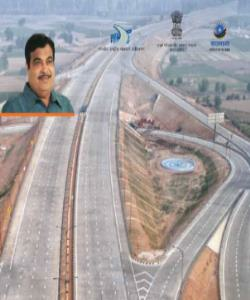 Is it Nitin Gadkari or Roadkari? Last Thursday, during parliamentary session, when Nitin Gadkari was questioned about road transport, nobody actually knew that he would be showered with a hell lot of appreciation. Apart from BJP, Shiv Sena and Congress party members also applauded his efforts. Ms. Sonia Gandhi patted the table and encouraged his initiatives. Harivansh Singh from Apna Dal said that Gadkari should be titled as Roadkari for his work.